Tom Tyler portrays the world's mightiest mortal as portrayed in Whiz comics. Shazam (The Wizard) endows Billy Baston with super powers. 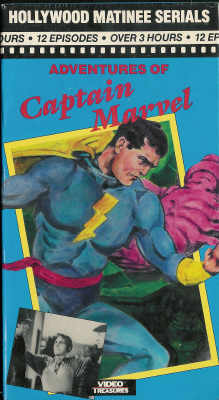 As Captain Marvel, he battles the evil ''Scorpion,'" featuring the voice of Gerald Mohr. Superb special effects, stuntwork and a well-written script rank this as one of the best by many serial buffs. This box set is out of print!